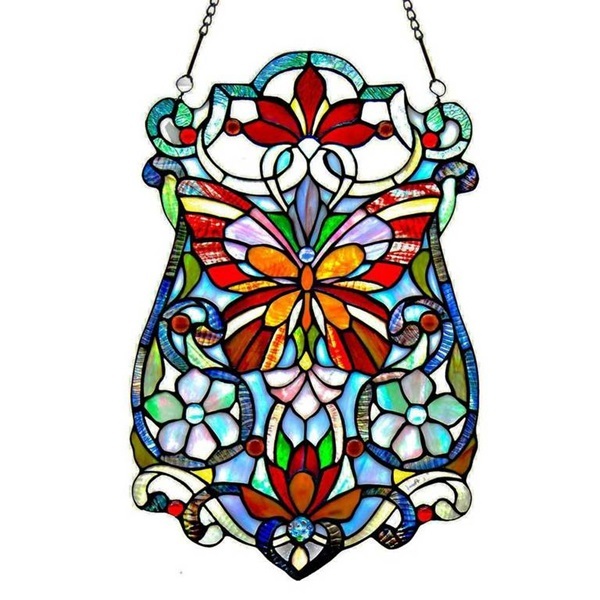 Cheerful and Charming! 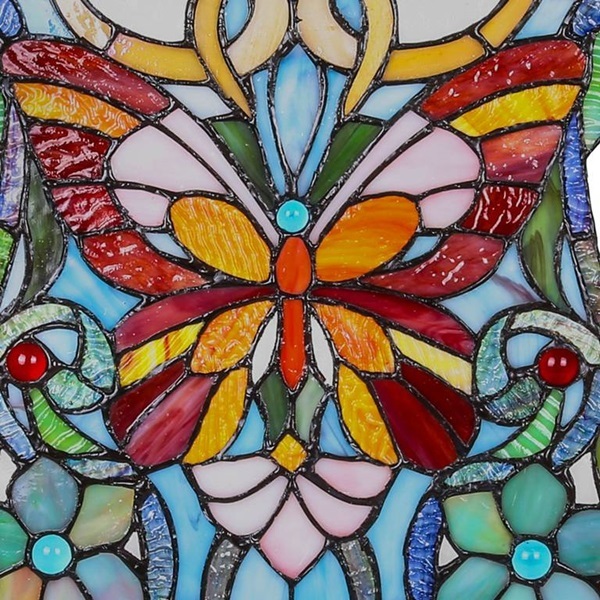 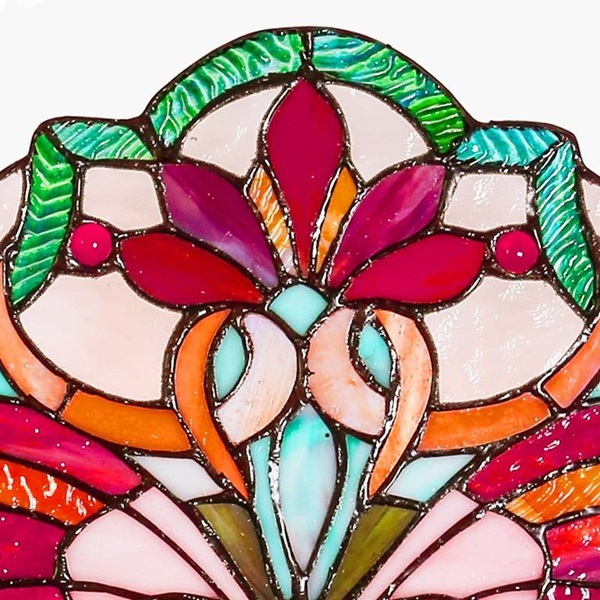 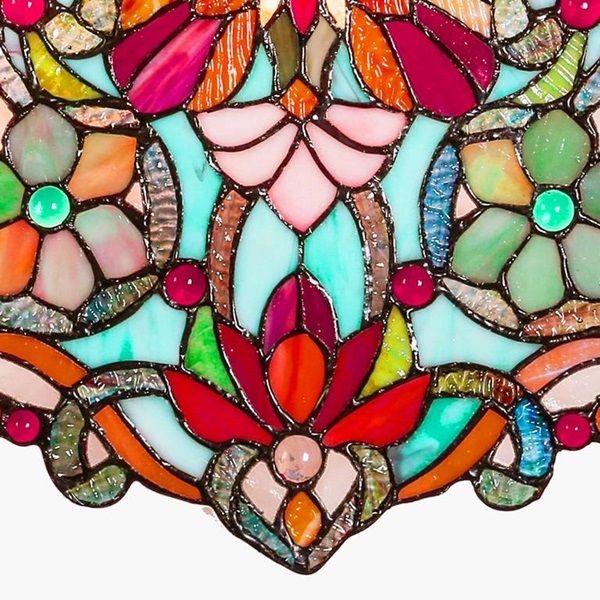 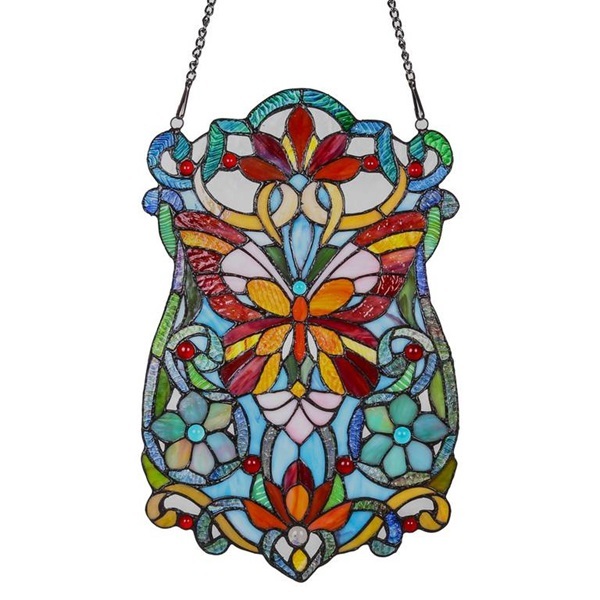 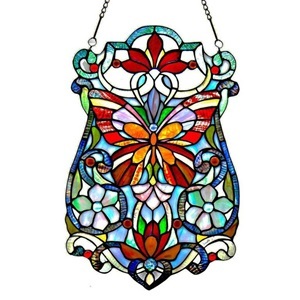 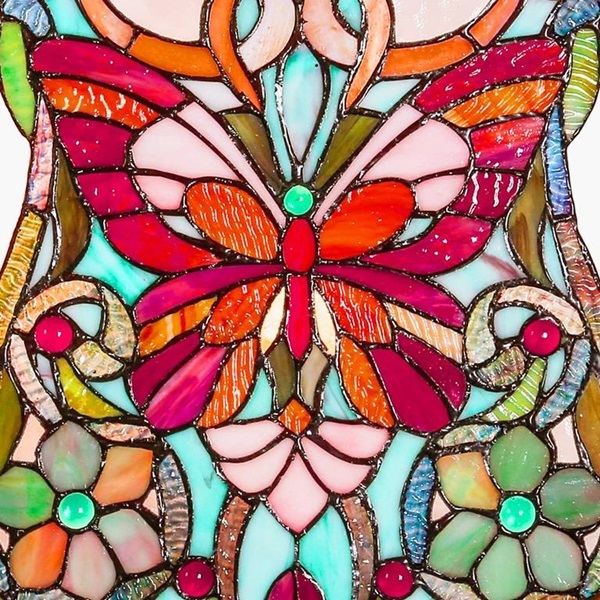 This Butterfly Fleurs Glass Panel has a multitude of vibrant colors. 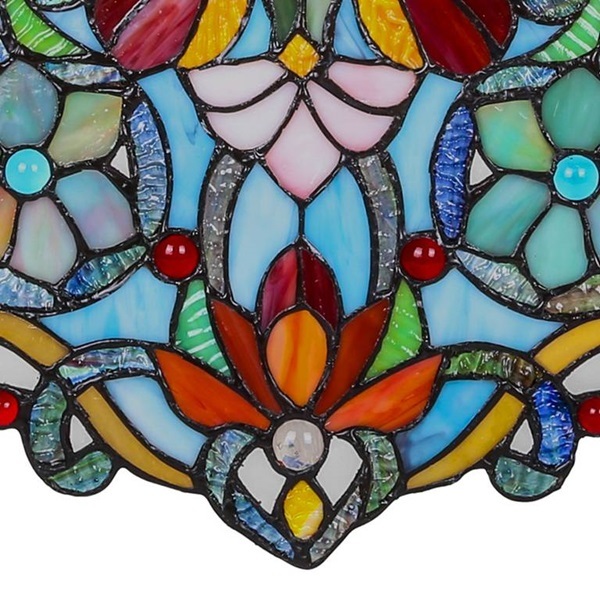 The panel is handcrafted with 205 pieces of glass and 14 cabochons. 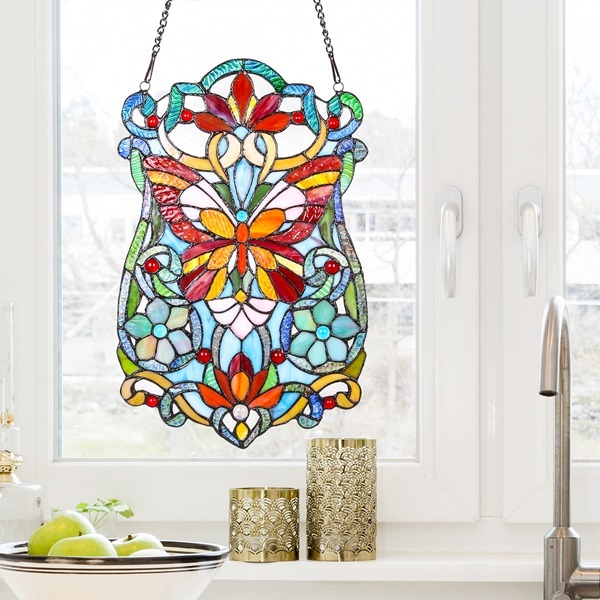 The design beautifully incorporates the combination of blue, red, yellow and green that will glisten in the sun and bathe your room with a rainbow of color! 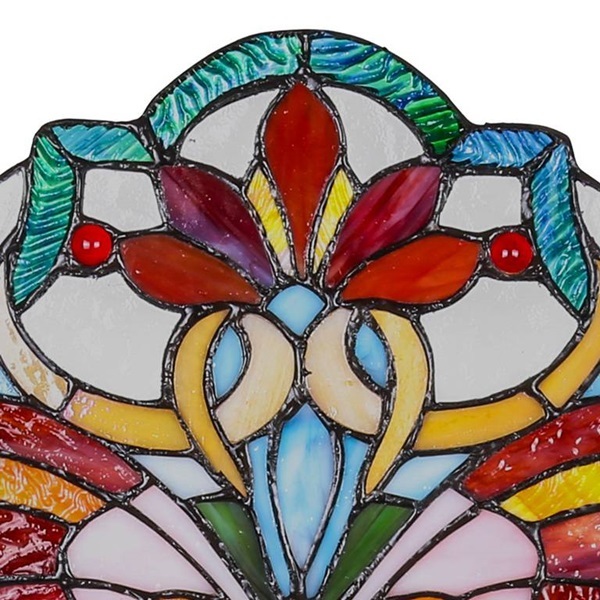 It's perfect for any season but especially cheerful during those cold winter months.